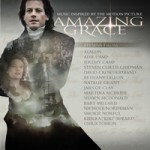 The author who chronicled the life of John Newton, writer of the legendary song “Amazing Grace”, recently pre-screened and critiqued the upcoming movie Amazing Grace by Bristol Bay Productions. Christine Schaub’s best-selling novel The Longing Season, chronicles the life of John Newton and the story behind his most beloved hymn. The novel is renowned for its historical accuracy, a result that came from painstaking research. In addition, Schaub noted that the movie does a “good job” explaining that the commerce of slave trading was not a moral issue to the majority of Britons.